For manufacturing industries such as aerospace, automotive, marine, and wind energy, prototyping is a familiar part of the product development process, commonly used for R&D testing, product demonstrations, and regulatory certifications. 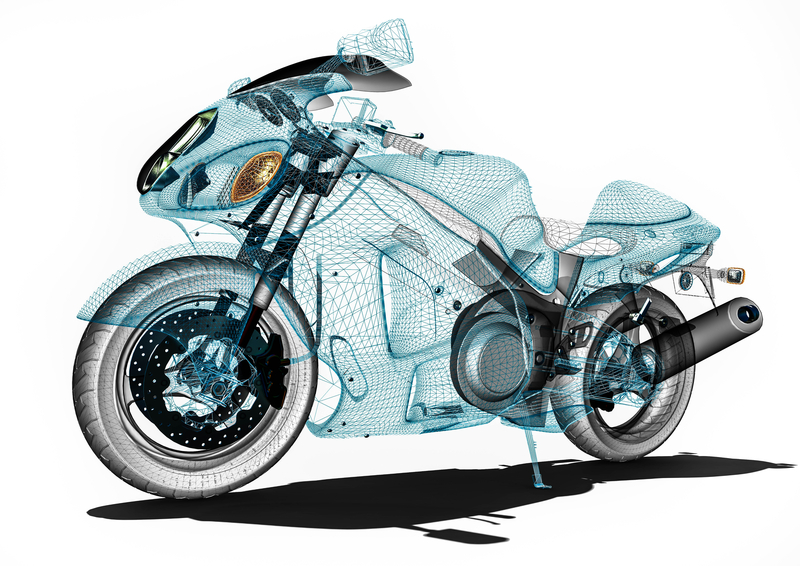 During the prototyping phase, design engineers and program managers have the challenge of keeping costs low and turnaround times fast while still producing accurate models. These objectives are top-of-mind when selecting the best tooling method, whether you’re creating prototype parts, one-off components, or composite layup tools. The tooling material must not only meet the specifications of the application (e.g., coefficient of thermal expansion (CTE), density, and strength), but also fit the budget and scheduling requirements of the project. In this whitepaper, we discuss soft versus hard tooling options for rapid prototyping and custom builds, as well as ideal applications and real-world case studies using soft tooling that push the boundaries of temperature and dimensional stability. To keep the prototyping process fast and economical, many people turn to wood structures, composites, clays, plasters, and even cheaper fiberglass materials for their tooling needs. However, these materials oftentimes cannot handle the curing process, dimensional accuracy, complexity, and other specifications. If such is the case, the natural inclination may be to jump straight to hard tooling options such as ceramics, aluminum, steel, and Invar steel alloy. While these hard tooling materials are excellent for long-term production runs or applications with extremely tight tolerances, their higher prices and lengthier lead times are not as conducive for rapid prototyping or low-volume applications. The tooling option you choose affects the project budget, time-to-market, and product quality – so which method is best for your application? Cost Savings: In comparison to hard tooling options such as aluminum and Invar, soft tooling has a much better price point on a per pound basis. For example, one of our clients was comparing the costs to create their tool using aluminum versus polyurethane foam, and the foam tool came to about 20% of the cost of the aluminum tool. This cost analysis included the price of the raw material, machining (setup and run time), design time for the model, programming, and shipping. Time Savings: Polyurethane foam tooling is known for having faster processing times compared to metal tooling since harder materials naturally take more time to machine. Even composite tools require a three-step process that involves creating the plug, making the tool on top of it, and then supporting the tool with an egg crate structure for intensive autoclave curing cycles. By comparison, foam tooling can be processed in one step via machining and therefore, from receiving the block of material to having your prototype in hand, saves approximately two-thirds of the time. Low Volume: Generally, prototypes and custom builds do not require a large number of units, so there’s no need to spend the extra money on tooling that will last for thousands of production cycles. Soft tooling is well-suited for low-volume applications that do not need to be kept in storage for years. Dimensional Accuracy: As a softer material, polyurethane foam is easily machined into complex shapes with a smooth surface finish. Unlike metallic tooling, last-minute modifications can be easily made by simply bonding additional foam pieces with an adhesive, filling voids with common industrial-grade fillers, or carving off any excess. And to continually improve tolerances, General Plastics has developed high-performance foam with a low coefficient of thermal expansion (CTE) similar to that of aluminum. Weight and Handling: When designing a very large prototype or component, you may not consider the weight and size of the tool required to make it. 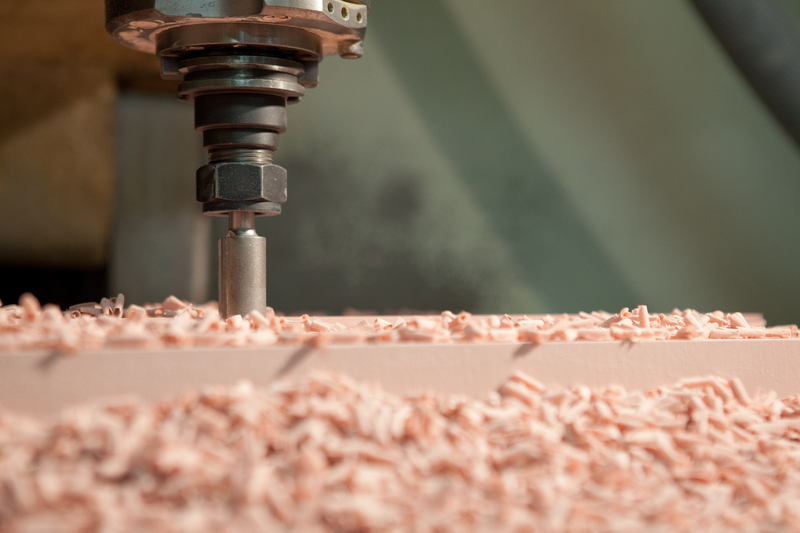 Working with and maneuvering an extremely heavy tooling material can significantly slow down the overall build time. Polyurethane foam has the advantage of being lighter compared to other materials. 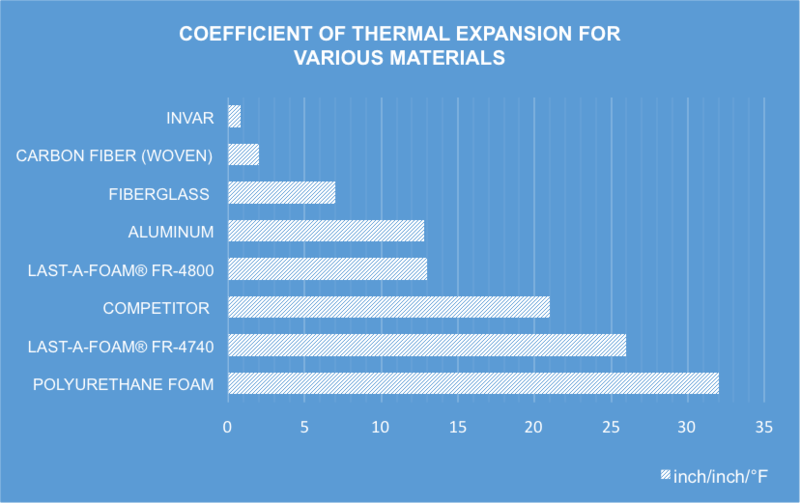 High-temperature, low CTE tooling foam at 48 lbs/ft3 is approximately 10% of the weight of Invar, and less than 30% of the weight of aluminum. Our foams come in a wide variety of densities and strengths, and it can be prepared in virtually any size you require. Given the aforementioned features of polyurethane foam, soft tooling is ideal for short production runs and is commonly used for making prototypes, demo units, custom projects, and composite tool master plugs and molds. Soft tooling is also the preferred alternative for large-sized tools where using metal material, processing, and shipping is cost prohibitive. Finally, with projects that require tight turnaround times, foam tooling can significantly shorten your R&D cycles and get your product to market faster. For instance, a motorcycle manufacturer may need to make very specialized fairings for a custom chopper. Given that these are one-off components, there is no reason to make a heavy-duty tool that will last forever. For low-volume use cases, foam tooling is well-suited for not only making prototypes but also production-ready parts that are used in the final build. Custom builds, would benefit from polyurethane foam for prototyping since they do not need high durability that will last for decades. After speaking to the client about their application, we quickly provided them with a recommendation on the most appropriate foam for the project, technical documentation with further details, a sample sheet of material to experiment with, and an estimated cost. For rapid prototyping applications like this where speed is of the essence, soft tooling has the unique ability to meet your engineering challenges without breaking the budget. One of the main concerns design engineers look at when researching tooling methods and CTE is the temperature rating. If the prototype or product material reaches high temperatures during the curing cycle, many tooling options are automatically eliminated from consideration. General Plastics is always working on the next generation in polyurethane foam technology, and the recently released LAST-A-FOAM® FR-4800 tooling board has been formulated to withstand higher processing temperatures, with peak temperatures up to 480°F (249°C) and continuous use temperatures up to 400°F (204°C). Unlike other plastics on the market, the lower CTE of the FR-4800 allows its users to reliably produce high-accuracy products. This makes the FR-4800 a comparable alternative to aluminum tooling with only a third of the density at 48 pounds per cubic foot. The increased thermal conductivity of FR-4800 also means it does not warp, twist, or change shape throughout the course of thermal cycling, avoiding thermal shock and out-of-tolerance parts. Figure 1. CTE comparison for various tooling materials. “Our goal with LAST-A-FOAM® FR-4800 was to create a predictable and reliable tooling board that can serve applications where dimensional stability does not dramatically impact autoclave cycle times,” said Mitchell Johnson Ph.D., CEO/President of General Plastics. With higher temperature ratings and lower CTE, this new tooling board opens the door for new aerospace and automotive applications, such as roof covers and components, composite framing, dashboards, seats, and more. Its hard, smooth finish is also waterproof and does not require the use of a sealant compound, making it well-suited for marine and industrial use cases. Other popular LAST-A-FOAM® products used for prototyping and custom builds include the LAST-A-FOAM® FR-4500, FR-3700, and FR-4700. Each of these tooling boards possess different properties – such as temperature ratings, dimensional accuracy, density, and impact and fire resistance – that we can match to best fit your project specifications. General Plastics helped AASC select the LAST-A-FOAM® FR-7100 series foam board at a 30-pound density that was used to create a 10-foot by 4-foot mold tool for curing graphite laminates. The material was selected for its low cost, dimensional stability, and ability to be easily modified for different applications. In addition, AASC received the foam and machined it into a finished prototype tool within four weeks of issuing the purchase order (in contrast to the 12-16 weeks required for a similar metal tool). By choosing polyurethane foam, AASC was able to significantly reduce 75% of its prototyping costs and time. 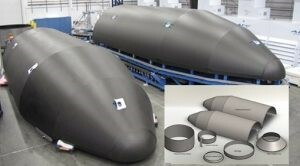 Because of the significant budget and time savings, AASC chose the FR-7130 rigid polyurethane foam for rapid prototyping of large missile coverings capable of traveling at Mach 2 speeds. For low-volume applications such as rapid prototyping, custom components, and composite layup tools, soft tooling may be the right option for you. Polyurethane foam provides a high-performance yet economical option for producing limited runs of a part to test functionality, demonstrate features, or be used in final production. With more than 75 years of experience working with manufacturers on complex, cutting-edge projects, General Plastics has engineered an extensive offering of rigid and flexible polyurethane foam solutions to meet your specifications. Our latest innovations such as the FR-4800 are pushing the boundaries of high-temperature ratings and low CTE, making the FR-4800 an excellent alternative to aluminum tooling. And to make your design process easier, our team also offers complete in-house production services that deliver finished tools per your design specifications. Contact us today to get started on your prototyping journey.